Hamas, despite its reactionary politics (for example a Charter that noone reads which is anti-Semitic) has played the role of an effective resistance in Gaza. In particular it has acquitted itself well, unlike last time, and killed over 50 Israeli soldiers. However it should not be forgotten that Hamas is the Palestinian offshoot of the Egyptian Muslim Brotherhood, a sectarian and conservative organisation which was originally created nearly a 100 years ago by the British. This article is by way of an answer to the hypocrisy of Israel and its supporters, who pretend that Hamas is the Palestinian equivalent of the Nazi Party. It shows how it was Israel that was responsible for creating Hamas as a counterweight to secular Palestinian nationalism, which has always been the main enemy of Zionism. Surveying the wreckage of a neighbor's bungalow hit by a Palestinian rocket, retired Israeli official Avner Cohen traces the missile's trajectory back to an "enormous, stupid mistake" made 30 years ago. "Hamas, to my great regret, is Israel's creation," says Mr. Cohen, a Tunisian-born Jew who worked in Gaza for more than two decades. Responsible for religious affairs in the region until 1994, Mr. Cohen watched the Islamist movement take shape, muscle aside secular Palestinian rivals and then morph into what is today Hamas, a militant group that is sworn to Israel's destruction. "When I look back at the chain of events I think we made a mistake," says David Hacham, who worked in Gaza in the late 1980s and early '90s as an Arab-affairs expert in the Israeli military. "But at the time nobody thought about the possible results." Israeli officials who served in Gaza disagree on how much their own actions may have contributed to the rise of Hamas. They blame the group's recent ascent on outsiders, primarily Iran. This view is shared by the Israeli government. "Hamas in Gaza was built by Iran as a foundation for power, and is backed through funding, through training and through the provision of advanced weapons," Mr. Olmert said last Saturday. 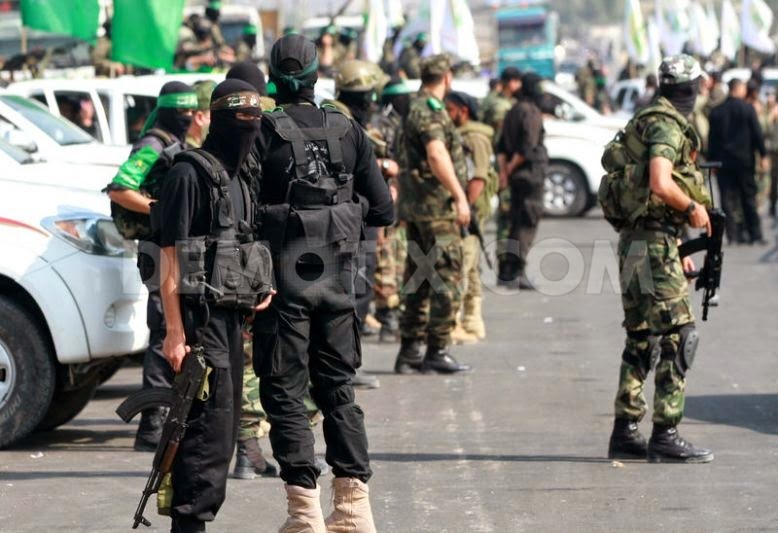 Hamas has denied receiving military assistance from Iran. it was Israel, which in fact created Hamas. According to Zeev Sternell, historian at the Hebrew University of Jerusalem, "Israel thought that it was a smart ploy to push the Islamists against the Palestinian Liberation Organisation (PLO)". Ahmed Yassin, the spiritual leader of the Islamist movement in Palestine, returning from Cairo in the seventies, established an Islamic charity association. Prime Minister Golda Meir, saw this as an opportunity to counterbalance the rise of Arafat’s Fatah movement. .According to the Israeli weekly Koteret Rashit (October 1987), "The Islamic associations as well as the university had been supported and encouraged by the Israeli military authority" in charge of the (civilian) administration of the West Bank and Gaza. "They [the Islamic associations and the university] were authorized to receive money payments from abroad." The Islamists set up orphanages and health clinics, as well as a network of schools, workshops which created employment for women as well as system of financial aid to the poor. And in 1978, they created an "Islamic University" in Gaza. "The military authority was convinced that these activities would weaken both the PLO and the leftist organizations in Gaza." At the end of 1992, there were six hundred mosques in Gaza. Thanks to Israel’s intelligence agency Mossad (Israel’s Institute for Intelligence and Special Tasks) , the Islamists were allowed to reinforce their presence in the occupied territories. Meanwhile, the members of Fatah (Movement for the National Liberation of Palestine) and the Palestinian Left were subjected to the most brutal form of repression. Ahmed Yassin was in prison when, the Oslo accords (Declaration of Principles on Interim Self-Government) were signed in September 1993. Hamas had rejected Oslo outright. But at that time, 70% of Palestinians had condemned the attacks on Israeli civilians. Yassin did everything in his power to undermine the Oslo accords. Even prior to Prime Minister Rabin’s death, he had the support of the Israeli government. The latter was very reluctant to implement the peace agreement. Hamas then launched a carefully timed campaign of attacks against civilians, one day before the meeting between Palestinian and Israeli negotiators, regarding the formal recognition of Israel by the National Palestinian Council. These events were largely instrumental in the formation of a Right wing Israeli government following the May 1996 elections. Quite unexpectedly, Prime Minister Netanyahu ordered Sheik Ahmed Yassin to be released from prison ("on humanitarian grounds") where he was serving a life sentence. Meanwhile, Netanyahu, together with President Bill Clinton, was putting pressure on Arafat to control Hamas. In fact, Netanyahu knew that he could rely, once more, on the Islamists to sabotage the Oslo accords. Worse still: after having expelled Yassin to Jordan, Prime Minister Netanyahu allowed him to return to Gaza, where he was welcomed triumphantly as a hero in October 1997. Arafat was helpless in the face of these events. … the Gulf states decided to cut off their financing of the Palestinian Authority. … between February and April 1998, Sheik Ahmad Yassin was able to raise several hundred million dollars, from those same countries. The the budget of Hamas was said to be greater than that of the Palestinian Authority. These new sources of funding enabled the Islamists to effectively pursue their various charitable activities. It is estimated that one Palestinian out of three is the recipient of financial aid from the Hamas. And in this regard, Israel has done nothing to curb the inflow of money into the occupied territories. The Hamas had built its strength through its various acts of sabotage of the peace process, in a way which was compatible with the interests of the Israeli government. In turn, the latter sought in a number of ways, to prevent the application of the Oslo accords. In other words, Hamas was fulfilling the functions for which it was originally created: to prevent the creation of a Palestinian State. And in this regard, Hamas and Ariel Sharon, see eye to eye; they are exactly on the same wave length. The Muslim Brotherhood, led in Gaza by Sheikh Yassin, was free to spread its message openly. In addition to launching various charity projects, Sheikh Yassin collected money to reprint the writings of Sayyid Qutb, an Egyptian member of the Brotherhood who, before his execution by President Nasser, advocated global jihad. He is now seen as one of the founding ideologues of militant political Islam. Mr. Cohen, who worked at the time for the Israeli government's religious affairs department in Gaza, says he began to hear disturbing reports in the mid-1970s about Sheikh Yassin from traditional Islamic clerics. He says they warned that the sheikh had no formal Islamic training and was ultimately more interested in politics than faith. "They said, 'Keep away from Yassin. He is a big danger,'" recalls Mr. Cohen. Instead, Israel's military-led administration in Gaza looked favorably on the paraplegic cleric, who set up a wide network of schools, clinics, a library and kindergartens. Sheikh Yassin formed the Islamist group Mujama al-Islamiya, which was officially recognized by Israel as a charity and then, in 1979, as an association. Israel also endorsed the establishment of the Islamic University of Gaza, which it now regards as a hotbed of militancy. The university was one of the first targets hit by Israeli warplanes in the recent war. Brig. General Yosef Kastel, Gaza's Israeli governor at the time, is too ill to comment, says his wife. But Brig. Gen. Yitzhak Segev, who took over as governor in Gaza in late 1979, says he had no illusions about Sheikh Yassin's long-term intentions or the perils of political Islam. As Israel's former military attache in Iran, he'd watched Islamic fervor topple the Shah. 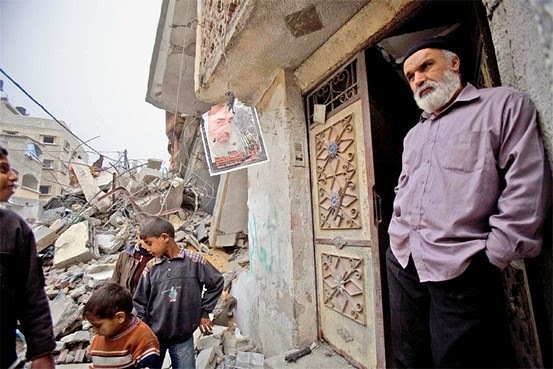 However, in Gaza, says Mr. Segev, "our main enemy was Fatah," and the cleric "was still 100% peaceful" towards Israel. Former officials say Israel was also at the time wary of being viewed as an enemy of Islam. Mr. Segev says he had regular contact with Sheikh Yassin, in part to keep an eye on him. He visited his mosque and met the cleric around a dozen times. It was illegal at the time for Israelis to meet anyone from the PLO. Mr. Segev later arranged for the cleric to be taken to Israel for hospital treatment. "We had no problems with him," he says. In fact, the cleric and Israel had a shared enemy: secular Palestinian activists. After a failed attempt in Gaza to oust secularists from leadership of the Palestinian Red Crescent, the Muslim version of the Red Cross, Mujama staged a violent demonstration, storming the Red Crescent building. Islamists also attacked shops selling liquor and cinemas. The Israeli military mostly stood on the sidelines. Mr. Segev says the army didn't want to get involved in Palestinian quarrels but did send soldiers to prevent Islamists from burning down the house of the Red Crescent's secular chief, a socialist who supported the PLO. Clashes between Islamists and secular nationalists spread to the West Bank and escalated during the early 1980s, convulsing college campuses, particularly Birzeit University, a center of political activism. As the fighting between rival student factions at Birzeit grew more violent, Brig. Gen. Shalom Harari, then a military intelligence officer in Gaza, says he received a call from Israeli soldiers manning a checkpoint on the road out of Gaza. They had stopped a bus carrying Islamic activists who wanted to join the battle against Fatah at Birzeit. "I said: 'If they want to burn each other let them go,'" recalls Mr. Harari. A leader of Birzeit's Islamist faction at the time was Mahmoud Musleh, now a pro-Hamas member of a Palestinian legislature elected in 2006. He recalls how usually aggressive Israeli security forces stood back and let conflagration develop. He denies any collusion between his own camp and the Israelis, but says "they hoped we would become an alternative to the PLO." A year later, in 1984, the Israeli military received a tip-off from Fatah supporters that Sheikh Yassin's Gaza Islamists were collecting arms, according to Israeli officials in Gaza at the time. Israeli troops raided a mosque and found a cache of weapons. Sheikh Yassin was jailed. He told Israeli interrogators the weapons were for use against rival Palestinians, not Israel, according to Mr. Hacham, the military affairs expert who says he spoke frequently with jailed Islamists. The cleric was released after a year and continued to expand Mujama's reach across Gaza. Around the time of Sheikh Yassin's arrest, Mr. Cohen, the religious affairs official, sent a report to senior Israeli military and civilian officials in Gaza. Describing the cleric as a "diabolical" figure, he warned that Israel's policy towards the Islamists was allowing Mujama to develop into a dangerous force. "I believe that by continuing to turn away our eyes, our lenient approach to Mujama will in the future harm us. I therefore suggest focusing our efforts on finding ways to break up this monster before this reality jumps in our face," Mr. Cohen wrote. Mr. Harari, the military intelligence officer, says this and other warnings were ignored. But, he says, the reason for this was neglect, not a desire to fortify the Islamists: "Israel never financed Hamas. Israel never armed Hamas." Israeli officials, still focused on Fatah and initially unaware of the Hamas charter, continued to maintain contacts with the Gaza Islamists. Mr. Hacham, the military Arab affairs expert, remembers taking one of Hamas's founders, Mahmoud Zahar, to meet Israel's then defense minister, Yitzhak Rabin, as part of regular consultations between Israeli officials and Palestinians not linked to the PLO. 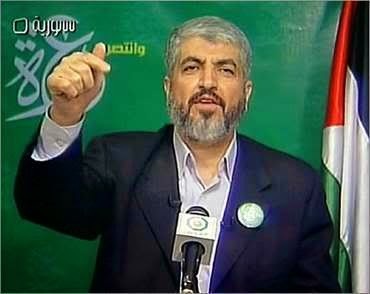 Mr. Zahar, the only Hamas founder known to be alive today, is now the group's senior political leader in Gaza. "And beginning in 1967 through the late 1980s, Israel helped the Muslim Brotherhood establish itself in the occupied territories. It assisted Ahmed Yassin, the leader of the Brotherhood, in creating Hamas, betting that its Islamist character would weaken the PLO." According to Charles Freeman, former US ambassador to Saudi Arabia, "Israel started Hamas. It was a project of Shin Bet [Israeli domestic intelligence agency], which had a feeling that they could use it to hem in the PLO." One aspect of that strategy was the creation of the Village Leagues, over which Yassin and the Brotherhood exercised much influence. Israel trained about 200 members of the Leagues and recruited many paid informers. "Politically speaking, Islamic fundamentalists were sometimes regarded as useful to Israel, because they had conflicts with the secular supporters of the PLO. Violence between the two groups erupted occasionally on West Bank university campuses. Israeli military governor of the Gaza Strip, Brigadier General Yitzhak Segev, once told me how he had financed the Islamic movement as a counterweight to the PLO and the Communists. 'The Israeli Government gave me a budget and the military government gives to the mosques,' he said." As Dreyfuss notes, "during the 1980s, the Muslim Brotherhood in Gaza and the West Bank did not support resistance to the Israeli occupation. Most of its energy went to fighting the PLO, especially its more left-wing factions, on university campuses." After the Palestinian uprising of 1987, the PLO accused Hamas and Yassin of acting "with the direct support of reactionary Arab regimes... in collusion with the Israeli occupation." Yasser Arafat complained to an Italian newspaper: "Hamas is a creation of Israel, which at the time of Prime Minister Shamir, gave them money and more than 700 institutions, among them schools, universities and mosques." Arafat also maintained that Israeli prime minister Rabin admitted to him in the presence of Hosni Mubarak that Israel had supported Hamas. "Some analysts maintain that while Hamas leaders are being targeted, Israel is simultaneously pursuing its old strategy of promoting Hamas over the secular nationalist factions as a way of ensuring the ultimate demise of the [Palestinian Authority], and as an effort to extinguish Palestinian nationalism once and for all." Hamas first emerged in 1987. It was formed from various charities based in the Palestinian territories with links to the Muslim Brotherhood, the Islamist movement born in Egypt in the 1920s from which many of today’s radical Islamic sects, including al-Qaeda, have sprung. Israel allowed these Islamic charities to gain strength and influence in Palestinian areas, hoping that they would counter the influence of secular Palestinian resistance movements. Sheikh Ahmed Yassin, the spiritual leader of Hamas until his death by Israeli air strike in 2004, formed Hamas as the military wing of his group the Islamic Association, which was licensed by Israel 10 years earlier. During that period, when there was open conflict between Israeli forces and Palestinian nationalists, Israeli officials gave the nod to and even indirectly funded the establishment of Islamic societies in the West Bank and Gaza that might weaken the Palestine Liberation Organization. Martha Kessler, a senior analyst for the CIA, has said, “[W]e saw Israel cultivate Islam as a counterweight to Palestinian nationalism.” The very Islamic groups “cultivated” by Israel in the 1970s became Hamas in the 1980s, which went on to become Israel’s biggest nightmare in the 1990s. It remains so today. After the Six Day War of 1967, Israel was much more lenient, even permissive in its attitude towards the Islamists. One of the first actions taken by Israel after its victory in the 1967 war was to release from prison various Muslim Brotherhood activists, including Ahmed Yassin, future founder of Hamas. Yassin and others had been jailed by the Egyptian authorities after the Muslim Brotherhood tried to assassinate Egyptian President Gamal Abdel Nasser, the anti-colonialist and pan-Arabist who considered political Islam a threat and an anachronism and was fairly unforgiving in his treatment of its practitioners. Israel, by contrast, sensing that such radical Islamists might be helpful in undermining Arab nationalists like the Nasser-influenced Fatah in the Palestinian territories released the Islamists from their cells and encouraged them to take root in Palestinian society. In Gaza, for instance, between 1967 and 1987, when Hamas was founded, the number of mosques tripled from 200 to 600. And a lot of that come with money flowing from outside Gaza, from wealthy conservative Islamists in Saudi Arabia and elsewhere. 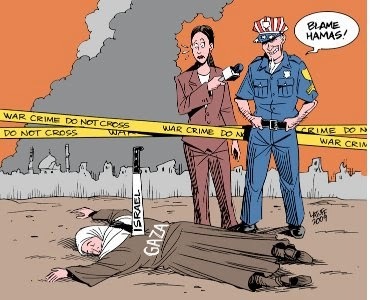 But, of course, none of this could have happened without the Israelis casting an approving eye upon it. There’s plenty of evidence that the Israeli intelligence services, especially Shin Bet and the military occupation authorities, encouraged the growth of the Muslim Brotherhood and the founding of Hamas [in Palestinian territories]. The Hamas organization was a bitter opponent of Palestinian nationalism and clashed repeatedly with the PLO and with Fatah, of course. And there were armed clashes on university campuses in the 1970s and 1980s, where Hamas would attack the PLO, the PFLP [Popular Front for the Liberation of Palestine], the PDFLP [Democratic Front for the Liberation of Palestine], and other groups, with clubs and chains. This was before guns became prominent in the Occupied Territories. Israel created its own gravediggers. Israel’s encouragement of Hamas’s emergence to counter secular nationalism represented an attack on the idea of popular and secular democracy, so it is not surprising that Hamas retains its somewhat extreme religious leanings and suspicion of traditional politics.